Simple. Solid. Amazing Value. Choose the CircuPool SJ Series for an economical salt system with a broad operating range (works well even at high salt levels) and easy maintenance (cell design allows for cleaning without having to soak it in the typical acid solution). SJ Series salt systems are the affordable choice to keep your swimming pool clean and clear without the use of harsh chemicals. 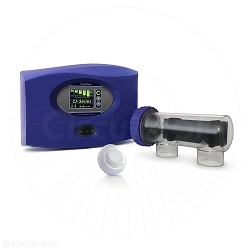 The CircuPool SJ-Series salt chlorinator systems are a great choice! Looking for all your options?